Legendary Jack Casady Signature Bass joins the Royale Collection! The “Bass that Jack Built” gets the Royale treatment! Epiphone presents the new Ltd. Ed. Blue Royale Collection featuring six classic Epiphones debuting a beautiful new Chicago Blue Pearl color finish along with the distinctive Royale Silver Sparkle binding. 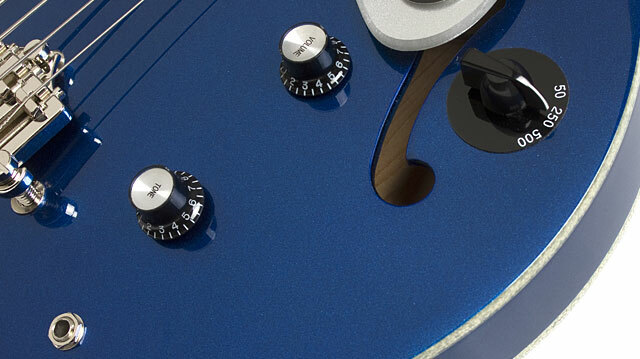 And each Blue Royale instrument features the sterling Epiphone pickups, superb electronics, and rock solid hardware you’ve come to expect from Epiphone. And nobody’s bass collection will be complete without the legendary Epiphone Ltd. Ed. Jack Casady Blue Royale Bass! Casady is one of the rare rock bassists known by both fans and players for his signature tone. And like The Beach Boys' Brian Wilson and The Beatles' Paul McCartney, Casady became a bass player after years of study on other instruments. "My first teacher was a big band guitarist named Harry Vorhees. Later on I took from a number of guitarists; one was Bill Harris who was the guitarist for the Clovers,” Casady told Epiphone.com. "He had studied with a guy who studied with Andres Segovia." Like all Epiphones, the Ltd. Ed. Jack Casady Blue Royale Bass comes with a Limited Lifetime Warranty and Gibson 24/7/365 Customer Service. But don’t wait! 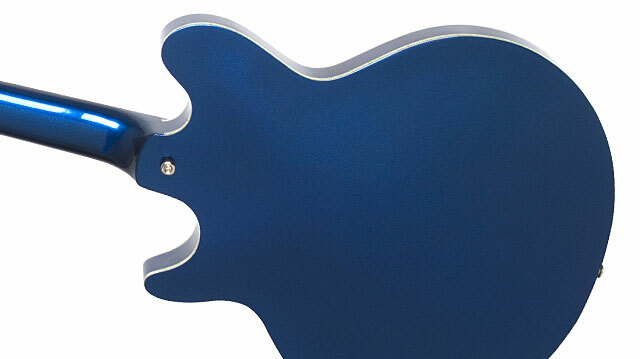 The Blue Royale Collection is only available at select Epiphone retailers. It’s your music and you deserve the best! Visit your Authorized Epiphone dealer today and pick up the Ltd. Ed. Jack Casady Blue Royale Bass today! The new Ltd. Ed. Jack Casady Blue Royale Bass features a Maple body with a Maple top finished in a stunning Chicago Blue Pearl finish with the “Royale Collection’s” famous Silver Sparkle binding. The hand-set Mahogany neck has a 34" scale with a 12" radius, a 1.6535" nut, and Jack’s signature on the headstock. The Ltd. Ed. 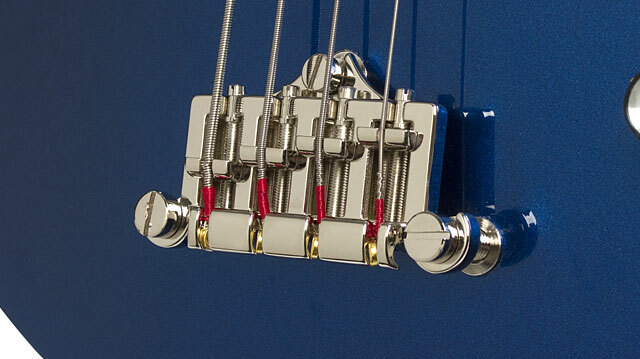 Jack Casady Blue Royale Bass features nickel hardware, classic style 19:1 ratio tuners, and a 3-point adjustable bridge exactly like what the Rock and Roll Hall of Famer uses on-stage. Casady insisted that his own personal basses should be no different than any Jack Casady Signature you'd find in a store. "Every year I get two new instruments that I take out on the road," says Casady. "No ringers. I have none that are set up a special way or anything like that and they are great."